Maybe you’re checking out Ubuntu for the first time, and you’re looking for a version that doesn’t seem quite so unfamiliar. You’ve looked around online and seem to be torn in two directions: Do you go with Ubuntu MATE or Linux Mint? Many of the people who love these two Linux operating systems (also known as Linux “distributions”) do so for similar reasons. But at the end of the day, each provides a very different experience. Let’s figure out which one is better for you. Ubuntu is the backbone of both Ubuntu MATE and Linux Mint. It is a Linux distribution, what you get when someone packages the Linux kernel with all the free and open source software you need to have a functional operating system. A company called Canonical released Ubuntu in 2004, and it has since become the most popular version of Linux for PCs Ubuntu: A Beginner's Guide Ubuntu: A Beginner's Guide Curious about Ubuntu, but not sure where to start? Everything you could possibly need to get started with the latest version of Ubuntu is right here, written in easy-to-understand, plain English. Read More . Linux Mint came around in 2006. It differentiated itself from Ubuntu Linux Mint vs Ubuntu: Which Distro Should You Choose? Linux Mint vs Ubuntu: Which Distro Should You Choose? Linux Mint and Ubuntu are two of the most popular Linux distros, but there are real differences between the two. Which one is right for you? 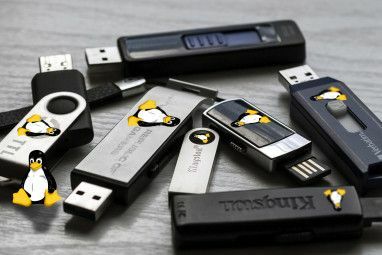 Read More and most other Linux distributions by installing commonly-used proprietary software with the rest of the operating system. Rather than having to download Adobe Flash or MP3 codecs separately, Linux Mint long came with these things already working. This changed with the release of version 18 in 2016. Now this software is optional, but you can still install it during installation. Ubuntu MATE is an official spin of Ubuntu. It uses the MATE interface, which was born out of an effort to keep the GNOME 2 series alive MATE Explained: A Look at One of Linux's Most Enduring Desktops MATE Explained: A Look at One of Linux's Most Enduring Desktops Unlike commercial operating systems, Linux lets you change your desktop environment. One of the most popular is MATE, but how good is it, and should you install it on your Linux PC? Let's find out. Read More after the release of GNOME 3. As a result, using Ubuntu MATE is a lot like using Ubuntu a decade ago. Ubuntu MATE is a way to move forward by keeping what worked in the past. That means Ubuntu MATE is running software originally designed to run on older machines. As a result, it runs pretty well on aging or underpowered PCs. MATE wasn’t the only interface born after the release of GNOME 3. Linux Mint’s default desktop, known as Cinnamon, responded to the situation in a different way: taking the GNOME 3 code and combining it with a more traditional interface. The result is that both Ubuntu MATE and Linux Mint are both for people who aren’t comfortable using the GNOME Shell, which has since become Ubuntu’s default interface Stick With Ubuntu: GNOME Feels Surprisingly Just Like Unity Stick With Ubuntu: GNOME Feels Surprisingly Just Like Unity Ubuntu has abandoned Unity in favor of a new spin on the GNOME 3 desktop. But is it really all that different from Unity? Here's why you shouldn't really be thinking about quitting Ubuntu. Read More . 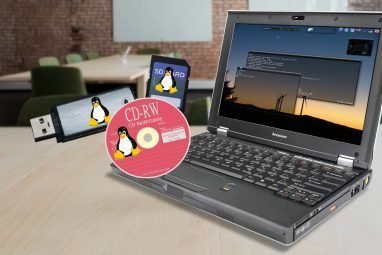 You’re thinking about one of these operating systems, but which is more suited to your PC or laptop hardware? Let’s take a look at the system requirements of each. Ubuntu MATE and Linux Mint have very similar system requirements. This is due to both being Ubuntu underneath. Both distros need a DVD drive or USB port for installation. Ubuntu MATE and Linux Mint both use the Ubiquity installer. If you know how to install one, you can install the other. The experience isn’t exactly the same, but it’s very similar. The two distributions may support different hardware. That largely depends on which version of the Linux kernel each one features. Ubuntu MATE 17.10 comes with version 4.13. Meanwhile, Linux Mint is based on Ubuntu 16.04, so it comes with version 4.4 of the Linux kernel. Linux Mint and Ubuntu MATE both support UEFI. Note that Linux Mint is not certified by Microsoft, so remember to disable Secure Boot before attempting installation. With Ubuntu MATE, you can leave Secure Boot enabled. Unlike Windows or Mac, Ubuntu MATE starts with not one panel, but two. There’s one across both the bottom and the top of the screen. The top panel shows menus for launching apps, opening folders, and configuring your system. It also displays the time and system indicators. The bottom bar shows your open applications. Ubuntu MATE uses a black theme similar to that seen in Ubuntu 10.10. But instead of standard Ubuntu’s purple and orange backgrounds, the MATE spin goes with green. Linux Mint uses the Cinnamon interface. It should look familiar to anyone who is comfortable with Windows Cinnamon Explained: A Look at One of Linux's Most Windows-Like Desktops Cinnamon Explained: A Look at One of Linux's Most Windows-Like Desktops When you see a screenshot, what you think is the "operating system" is more likely to be the "desktop environment" -- and Linux has a bunch of them, including this one called Cinnamon. Read More . A single panel stretches across the bottom of the screen. An app menu sits in the bottom left, a clock and system indicators sit in the bottom right, and open windows appear in between. Both interfaces are customizable. You can adjust their appearance by changing a theme Spice Up Your Cinnamon Themes – It's Easy! Spice Up Your Cinnamon Themes – It's Easy! Ever wanted to customize your Linux desktop, but just couldn't find that one perfect theme? If Cinnamon is your current desktop environment, creating your own theme is easy to learn. Read More or extend functionality by adding applets to a panel. Here Cinnamon has the advantage of being newer, as people are still creating extensions for the desktop. On MATE, you’re largely using whichever applets were available before GNOME 3 appeared. Which interface you prefer is largely a matter of personal preference. Cinnamon is newer and sees more active development. On the other hand, MATE is tried, tested, and stable. And if you like Linux Mint but prefer the MATE interface over Cinnamon, you’re in luck: there’s a MATE version of Linux Mint! It provides a MATE experience similar to the Cinnamon layout. Like Ubuntu MATE, Linux Mint is based on Ubuntu. Whereas Ubuntu MATE is an official spin, Linux Mint is a distinct distribution. The Linux Mint team has no affiliation with Canonical, and has simply built a different experience on top of an Ubuntu core. People working with free and open source software are free to do this. This shared Ubuntu core means that Ubuntu MATE and Linux Mint can run the same software. That aside, they still provide a different set of default applications. MATE uses forked and renamed versions of GNOME 2 apps. These apps haven’t changed much aesthetically, but developers do address bugs and occasionally add in new features. The Cinnamon team has made an effort to adapt newer GNOME apps to better integrate with Cinnamon and other desktop environments. While GNOME 3 apps look out of place anywhere other than GNOME, X-Apps are desktop agnostic How to Install Linux Mint's X-Apps on Ubuntu How to Install Linux Mint's X-Apps on Ubuntu If you're switching between Linux desktops, you'll need to get familiar with a bunch of new built-in apps. Can Linux iron out that bump that with the X-Apps project? Read More . They use traditional elements such as title bars and menu bars. They look just as at home on MATE as they do on Linux Mint. While there are many app stores available on Linux Linux App Stores Compared: Which One Is Right for You? Linux App Stores Compared: Which One Is Right for You? Windows users are being guided to an app store. macOS has had one for a while. Linux, meanwhile, has had an app store-style experience for years. But which one is right for you? Read More , Ubuntu MATE uses its own, called Software Boutique. It organizes and presents apps in a way intended to feel welcoming to new users. Some pages show which popular commercial apps an app can replace. For example, Blender is shown as an alternative to Adobe After Effects and Autodesk 3ds Max. Linux Mint has its own Software Manager. This app store isn’t as simple as Ubuntu MATE’s, but it does have ratings, user reviews, and screenshots. It’s a more advanced tool, with elements of a package manager that more experienced Linux users may appreciate. Ubuntu MATE helps newcomers learn about their new system and get involved with the community. The app that launches immediately after installation tells you more about this. Ubuntu MATE vs. Linux Mint: Which Will You Choose? Neither Ubuntu MATE nor Linux Mint is particularly hard to figure out. Each takes a traditional approach to computing, one that Linux newcomers will likely find easy to grasp. Both will (probably) run on whatever machine you throw at them, as long as the computer isn’t brand spanking new. Go with Ubuntu MATE if you want a little less clutter and more simplicity. Go with Linux Mint if you want more software preinstalled, saving you the effort of having to discover these programs on your own. I’m not the target for either distribution. I was very happy to leave GNOME 2 behind for GNOME 3, and nothing about Ubuntu MATE or Linux Mint makes me want to look back. But there are many of you who feel differently, and I’d love to hear from you. 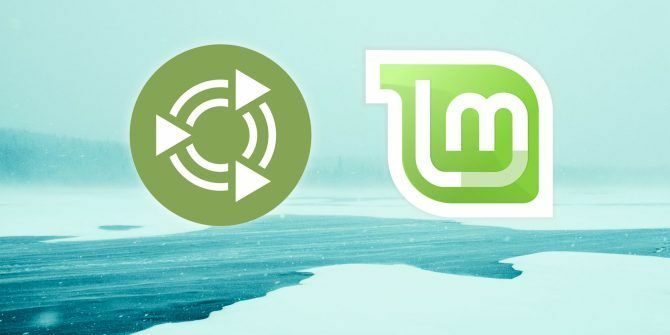 Do you prefer Ubuntu MATE or Linux Mint? What attracted you to one versus the other? Which would you recommend to new Linux users? Old-timers? See you in the comments! Explore more about: Linux Distro, Linux Mint, Ubuntu MATE. Check out mint Tessa, Cinnamon is really so snappy this time. I couldn't decide either so I installed both !!! I would be interested in a different article in the future. I like the MINT/ Cinnamon experience, but I sometimes want to look at a pure Gnome 3 experience, and especially now that stock Ubuntu is moving in that direction. My problem? I have favorite "applets" that I depend upon in the Cinnamon desktop and I have no idea if any equivalents are available to me the Gnome 3 experience. So I guess I want an article on useful add-ons for Gnome 3 and then I can do a comparison with what I use today. Which Cinnamon applets do you use? I would personally die without this, since I live in the Third World and I am always monitoring visually my network traffic. This is a life saver for me, and we have to pay by the byte for Internet services. And after that things are "nice to have"
And now that I'm looking... all the rest are permanently locked and used by Cinnamon, so we can forget about those. Presumably they have equivalent tools already in the Gnome 3 interface if I had pure Gnome 3 installed w/o Cinnamon. I went with Mint because at the time, it was the one distribution we had found that would recognize a particular USB TV tuner stick with no problems. And does so to the present day. You really should update this article. Also the screenshot showing Mint Software Manager is out of date, sice Mint v18.3. According to Distro Watch, and many others, Linux Mint is, and has been, the #1 distro for past 2 years. I've used very many distros over the years, and still d/l and checkout new ones, but have been running Mint, with the MATE desktop, for the past 9 or 10 years. I prefer it over Cinnamon, XFCE, etc. The title of this should been called Ubuntu Mate VS Linux Mint Cinnamon edition. its like comparing cars to bikes both take to you from A to B but are different modes of transport. I love the Mate desktop but I have a laptop using 4 gigs of ram and Ubuntu Mate or Ubuntu Gnome both use a lot of ram. I am using Xubuntu now . One day maybe we'll figure out the difference between a desktop, a distribution and an OS. But in the meantime Mate is best suited for older machines with limited processing power, and Cinnamon for newer machines. 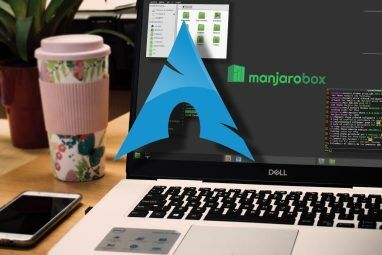 I prefer Cinnamon whether I'm running Mint, Manjaro or Arch. Personally I like Mate on any machine, old or new. It is easy to use and configurable to what I personally want. I have had no problems with crashes. I tried Cinnamon early on and it continually crashed. If I remember correctly there was even an app to restart the desktop as it crashed so often. Maybe things have changed with further development, but I am now a dedicated Mate user. I also chose Ubuntu over Mint. Ubuntu's biggest drawback, it is hard to pronounce. MATE's only draw back has always been it's wonky apps. They have are a bit dated and have crash issues. Mint is typically rock solid and easy to use. I have been using mint for a few years now, try other distros and always go back. It's just simple to use, works and comes load with almost everything you need. Just my opinion. "Ubuntu MATE vs. Linux Mint: Which Will You Choose?" Since Mint is basically an Ubuntu spin, the only difference (and not much of one) is the eye candy. I would choose any distro other than Ubuntu-based. I enjoy a lot of Linux distributions, Ubuntu MATE, Fedora, Manjaro but i always revert back to Mint, there is just something simple about it for me. The no fuzz installation and fast setup. It just works. What's the point of this article?